When we arrived at the The New Diorama Theatre in London we didn't know what to expect. The universal machine is a musical about the life of mathematician and WWII code breaker Alan Turing. I have only seen one musical in my whole life, Cats, and it made me feel ill, so I really could not fathom how this was going to work. But as it turned out, we loved it. ordinary mortals like me, and it's not at all about poking fun at less ordinary ones. 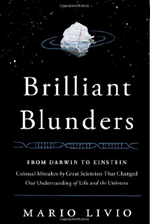 It's a thoughtful look at science, the often hap-hazard path of its progress and the limitations of the human mind. Superposition, an audio-visual performance written by Ryoji Ikeda, is not for the faint hearted. We certainly wouldn't ever be tempted to listen to the sound track on its own. But despite its challenging nature, it is a wonderful experience which evoked a sense of beauty from chaos, mathematics, and physics, carried across by visual art and music. It's not often the very first person you meet in a movie is a mathematician. The second, third and fourth people on screen also being mathematicians is even rarer. But the movie Travelling Salesman is a rare movie: not only are almost all of the characters mathematicians, the central plot also hinges on the solution of one of the most important problems in mathematics. Quantum physics is hard. And weird. There's just no getting around it. It takes Plus a lot of tea and biscuits to write anything about the quantum world. But since discovering John Polkinghorne's book it thankfully has become a little bit easier. Sometimes it doesn't feel like the world is a very nice place. The news is filled with war, political conflict, crime – it seems we just can't get along. 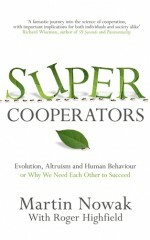 So it is very cheering indeed to read a book dedicated entirely to convincing you that we are actually very helpful to one another and that the whole world as we know it is only possible thanks to cooperation. And surprisingly the authors don't use psychology or sociology to make their argument – they use maths. 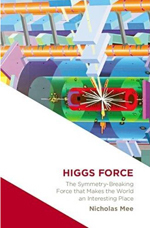 Higgs Force traces the history of the human quest for understanding how the Universe works, starting from the atomic ideas of the ancient Greeks and finishing with the launch of the Large Hadron Collider at CERN. It is a remarkable fact that the author was able to present it as a continuous story, tracing the analogies between the earliest ideas of elements (fire-air-water-earth) and the accepted current theory of elementary particles. Reading this book feels a bit like putting on a CD of a virtuoso pianist to help inspire my own amateur playing . It does not, and does not try to, give a real taste of what it is like to be a professional mathematician. 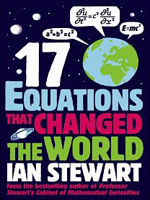 But the book gives a good picture of a selection of the topics that mathematicians study and have studied, how those topics have developed over the last two thousand years, and how they have profoundly influenced the world around us.